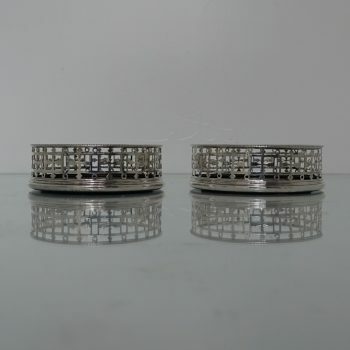 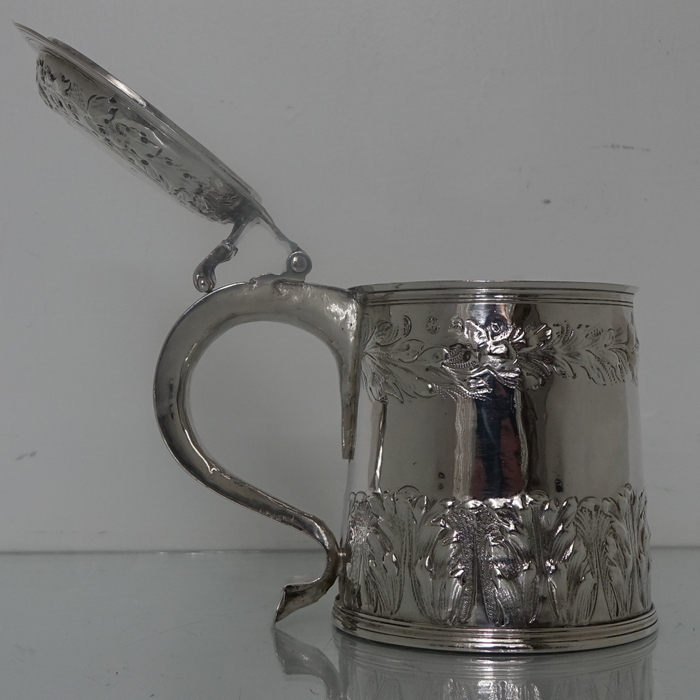 A very beautiful cylindrical tankard with two bands of elegant contemporary acanthus leaf embossing on the body for decoration. 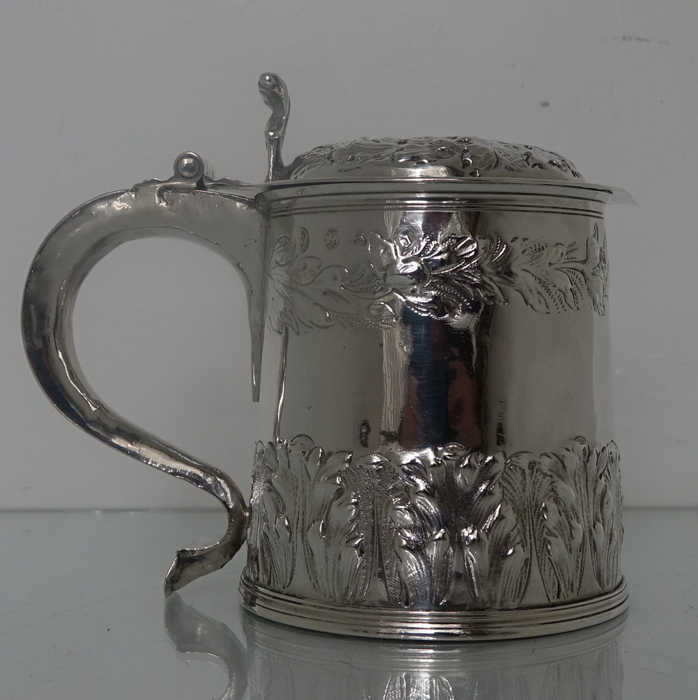 A very beautiful cylindrical tankard with two bands of elegant contemporary acanthus leaf embossing on the body for decoration. 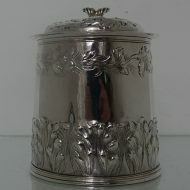 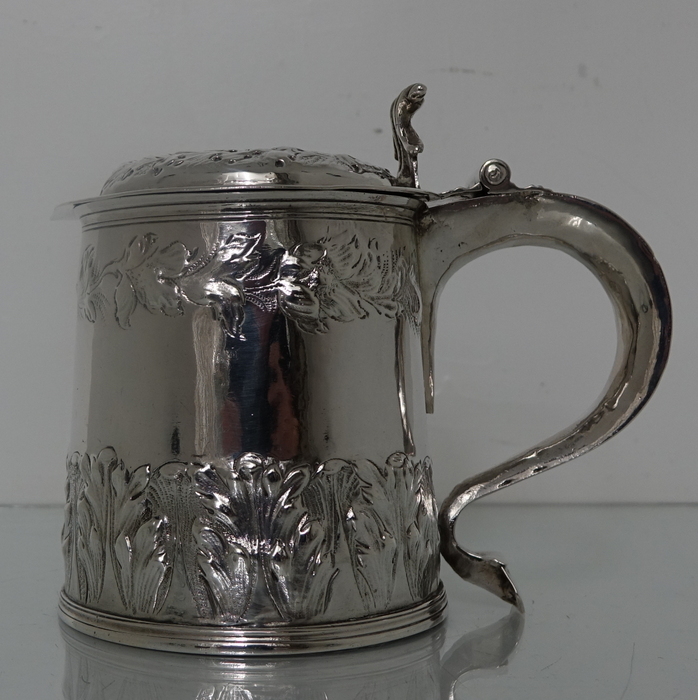 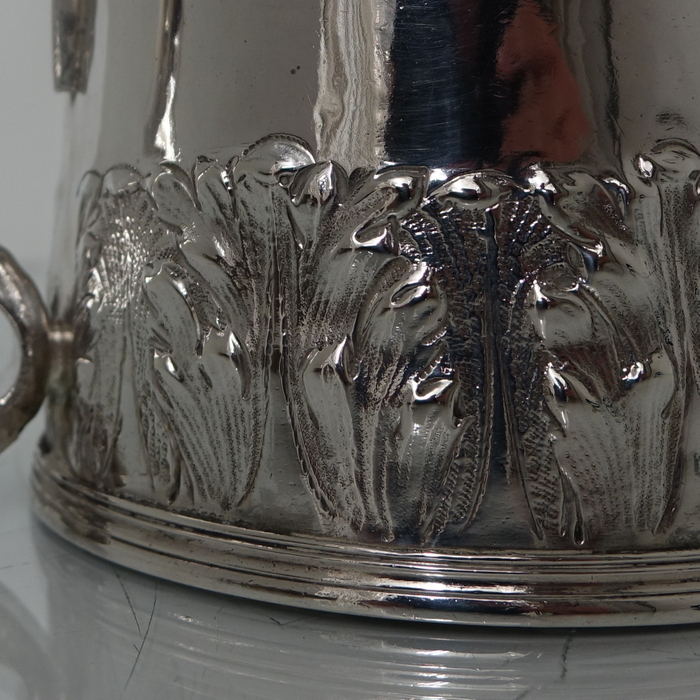 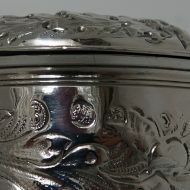 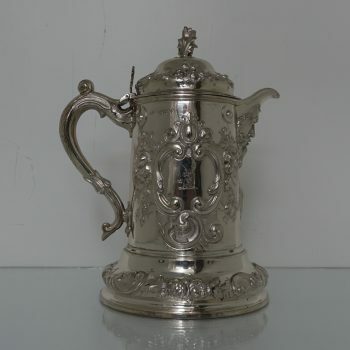 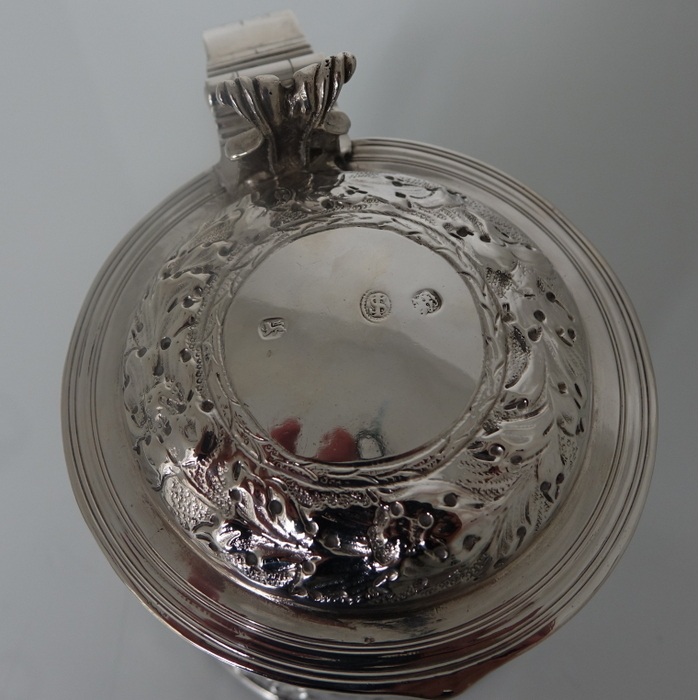 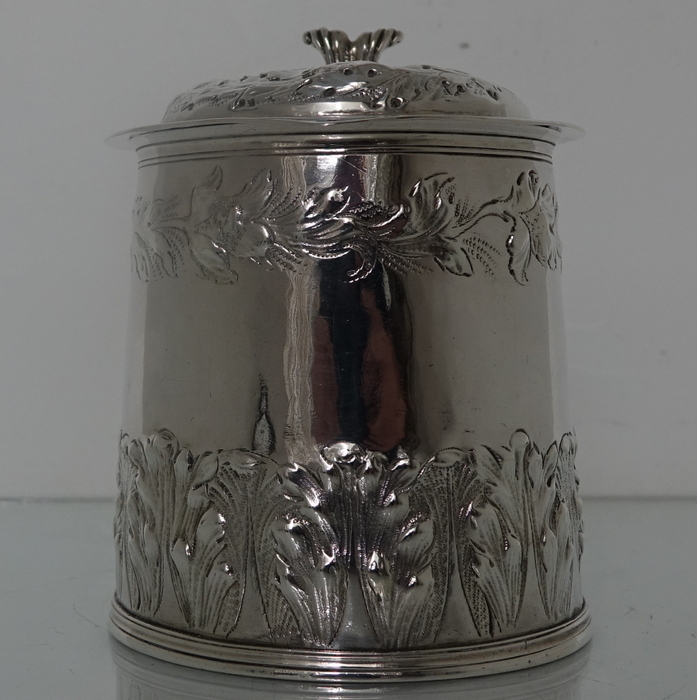 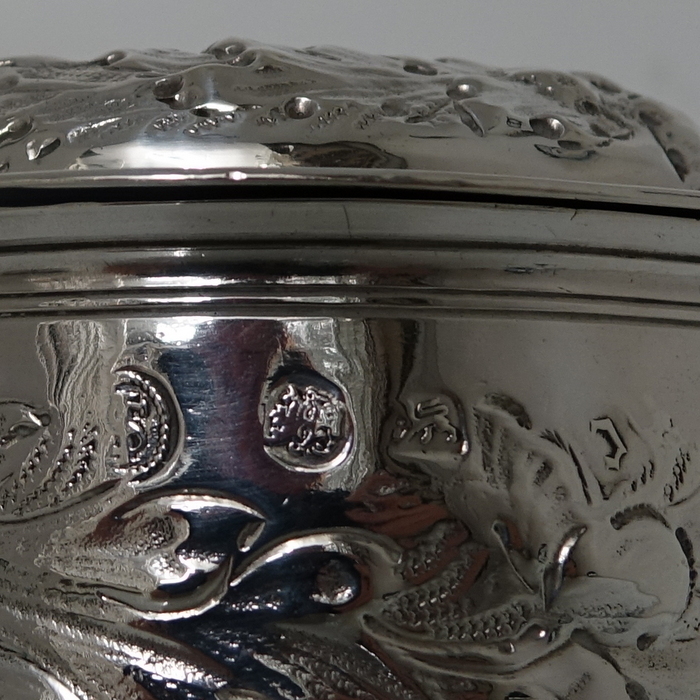 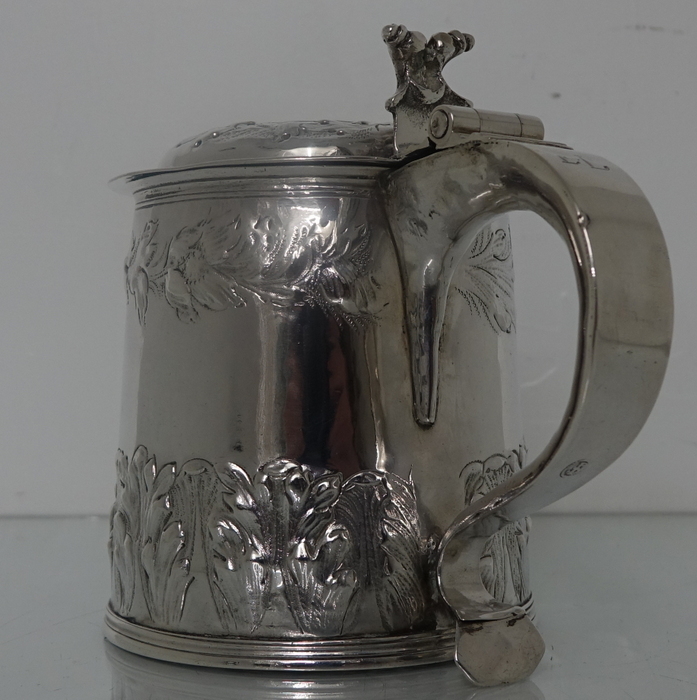 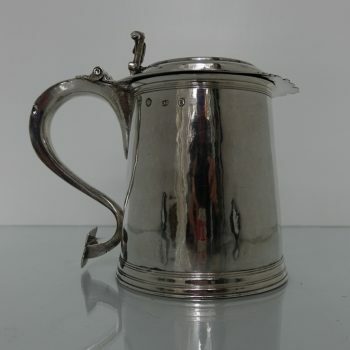 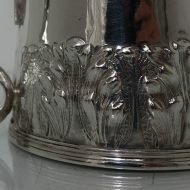 The lid of the tankard is hinged with an additional gallery of acanthus leaf decoration for highlights. 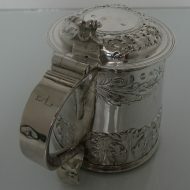 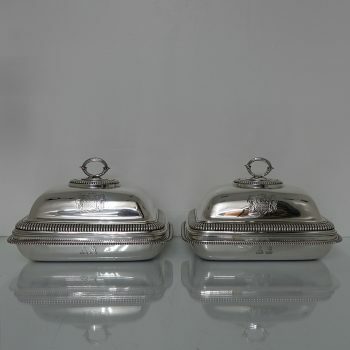 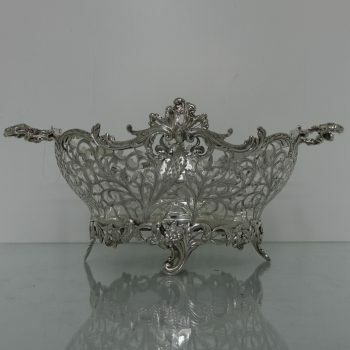 The handle is scroll formed in design and there is a stylish cast thumb piece. 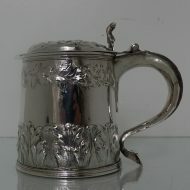 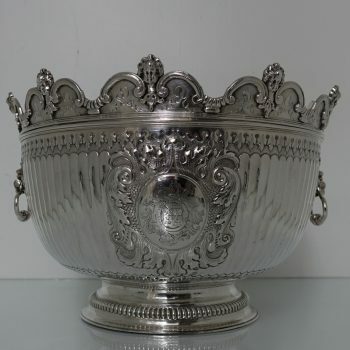 The size of this tankard is extremely rare, not as large as the usual tankards of this design, however still large enough to hold plenty of beverage.